It is Easter 2017. It is a beautiful sunny day. We went to our daughter's home for brunch and an Easter egg hunt. The kids are getting a little big for it, but they were all good sports. Seven year old Ewan believes in the Easter bunny, Jack who is almost 9 wants to believe and the other three go along with the fun. 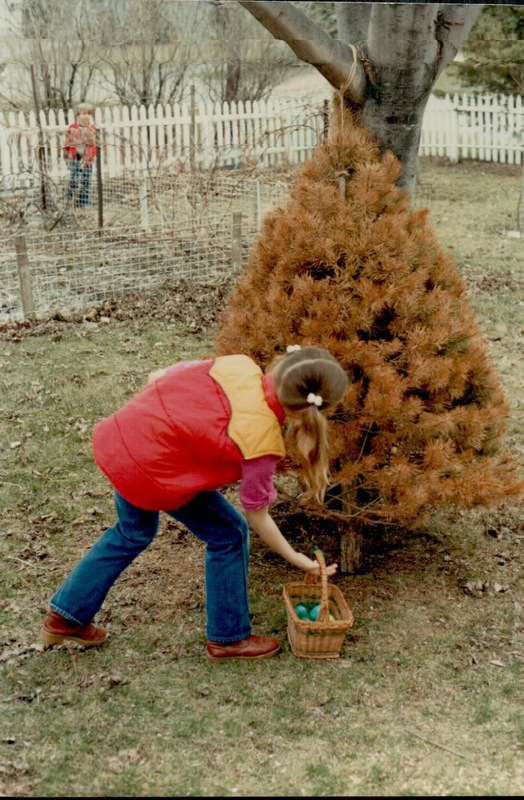 My dad loved hiding Easter eggs and some of our best family memories involve hunting for eggs. He always kept their Christmas tree for the birds to take shelter in during the winter and early Spring. Then after Easter it was thrown away. It was a great place to hide eggs in. This is Sarah when she was nine or ten. Now she is hosting the egg hunt. This year there was no chocolate involved. We didn't want a repeat trip to the doggie hospital, so all temptations were removed. http://www.thecabincountess.com/2017/03/poor-bandit.html The plastic eggs were filled with money which the kids loved. Cash is golden. Getting instructions as to where the boundaries were. Sarah giving Ewan a few extra hints. Counting the stash when it was all over. Then it was time to eat. We had so much good food. All the exercise we got yesterday was quickly undone. We still feel stuffed. A lot of memories are made during these family times. It seems like only yesterday when our second oldest grandchild had his first Easter. 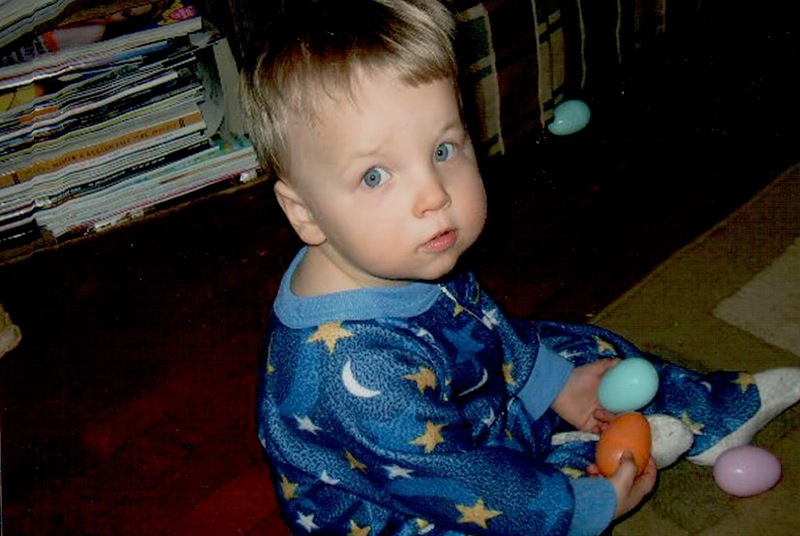 Dylan when he was 7 months old. Now here he is with our oldest granddaughter. He is 15 and she is 16. It's hard to believe how time marches on. I hope everyone reading this blog had a wonderful and blessed Easter. I know holidays are tough for people without families to enjoy them with. That is why I am so fortunate to have the life I have. View on a beautiful Easter day.